Born in Lampman, Saskatchewan to Betty Lou Bryce and “Butch” Clarence Williams, Ricky Emil Williams joined his older brother Russell, where they spent a short time before moving to Saskatoon, Saskatchewan. It was during dad’s days in Saskatoon where he picked up his deep seeded love for the game of hockey. 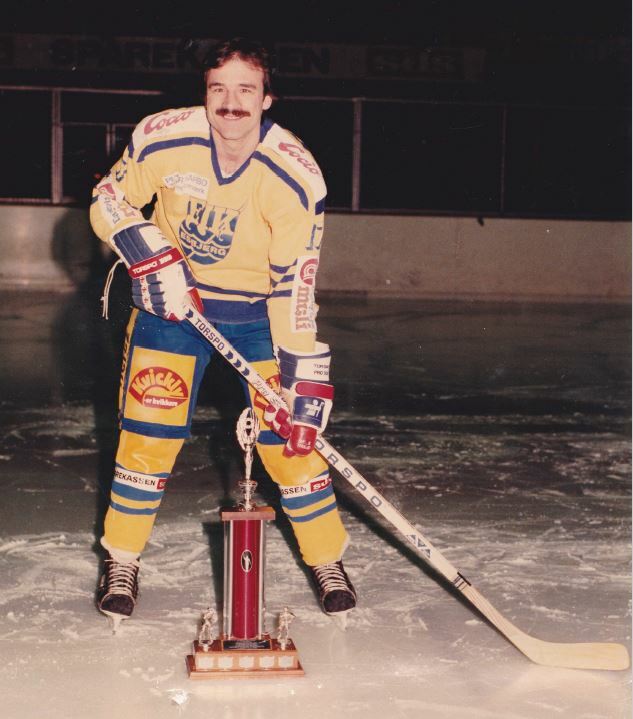 Dad played for the SJHL Saskatoon Olympics, before joining the Saskatoon Blades, playing in the WHL. It did not take long before he was traded for his arch nemesis/best friend George Pesut in Victoria at the ripe age of 17. I will never forget dad’s stories during this time as he described - “just how lucky hockey players have it these days…back in my day, I had to bus it with no heat to a place called Flin Flon, Manitoba to play a game, and back again!” I believe that if you were lucky enough to know dad, you were privileged enough to learn about Flin Flon, Manitoba. From there, dad played for several different teams, including the Spokane Flyers and the Nelson Maple Leafs before attending the University of Calgary on a hockey scholarship to join the Dino’s. It was here that Dad met many of his longtime friends - the FOR’s (Friends of Ricks). This was also the time when dad met my Nana, June Tarves and their wonderful family. The story goes that dad was looking for a place to stay while attending University. Lucky for him, his friend Shane knew the perfect place - at his mother’s house. Now Nana, being the ever welcoming type could not say no, and allowed dad to stay for the period of his kinesiology degree. Dad quickly became a part of their family, and soon considered June to be a second mother. Dad’s time spent at the University of Calgary was a tremendously joyous time. Not only was he able to meet many of his lifelong friends, but was awarded Canadian Defensemen of the Year. An incredibly skilled hockey player, dad not only played the role of defense, but also as the team “goon.” Short in stature, dad always mentioned needing to make up for his size in other ways which included fighting and/or taking a dive in front of the puck; whenever dad played, he played his heart out. From University, Shane Tarves (June’s son) was able to pull some strings to have dad join him in Europe to play. Dad played in both Denmark and Germany, where he met his wonderful wife Susanne (originally from Denmark). Dad played several years in Europe, before deciding to move back to Calgary with Susie to start a family, and lay down some roots. Shortly after settling down in Calgary, Susie became pregnant with their first child, Sheena (that’s me), and their son Luke a few years later. It was at this time that dad began his work with the Calgary Board of Education as a substitute teacher. After some time at different schools, dad was able to establish a position as a Phys Ed teacher at Fairview Junior High. For those of us lucky enough to know dad, we are all better for it. In both sickness and in health, dad was always a presence that one would gravitated towards - he was magnetic. Growing up, I always thought of my dad much like any other dad - strict, rule making, expectation upholding, and curfew setting…but it was not until my later years that I realized just how magically special my dad truly is, and was. I am confident in saying that I would not have turned out to be half of the woman that I am today without the love, guidance and expectations that my dad placed upon me each and every day - “just be a good kid and good things will come to you” he would repeat - something that my brother Luke and I will never forget. When dad became ill, it was, at first a gradual decline. Small things were forgotten such as key placement, what we ate for breakfast, etc. - everyday things that many people tend to forget or misplace. From here, it grew more and more present that dad was losing both his short and long-term memory. He began to forget directions to familiar places such as the hockey rink and Tim Hortons; it was now that he began to become more erratic and fearful. Dad knew that he was changing, but did not understand why, or to what extent; none of us did. Dad was placed on Long-Term disability from work, and took a turn for the worst as he began losing most of his working memory, as well as fabricating stories that he was sure took place. Due to the severity of aid that Dad began to require, he was welcomed into the care of health professionals where he was able to receive the assistance and monitoring that he began to need. This decision was heartbreaking to his immediately and extended family. Sleepless nights, tears and angst accompanied most days spent missing and worrying about dad. Could he come home? Did he understand why he was there? Is he upset with us?…the uncertainties never seemed to subside in the hearts and minds of loved ones. After some time, dad was placed in the Bethany Harvest Hills Care Centre, and what a blessing this was. The atmosphere, nurses, and healthcare professionals were a Godsend to dad and to our family. Dad was not only treated with compassion and respect, but was most importantly loved by each person that cared for him. They made Dad a priority each and every day. Dad spent the rest of his life at the Bethany Care Centre, before passing away in his room November 15, 2014 with his family all present to send him off. At the age of 60, this was not easy to accept, but was understood based on dad’s condition. We later found out that Dad was also diagnosed with Colon Rectal Cancer, as well as pneumonia in his final days. I can speak only for myself in saying that the amount of heartache still felt in regards to the loss of my father is overwhelming. When dad left us that day, he took a part of each of us that will never be replaced. I still feel dad in all that I do, and remember many of his quotes and qualities that I both live by and attempt to emulate on a daily basis. We lost an incredible human being that day, but God gained an angel. I often feel as though God took dad too early and that I wasn’t ready to lose my father, but now understand that he is always with me, and with all of us. I can still hear him telling me to weed whack the grass edges a bit closer, asking me if I’d like to come to “Timmies” for a coffee, or asking me what I was going to order off of the restaurant menu so that he could order the same. We love and miss you more than you will ever know dad. I promise to always “be a good kid”, and know that good things will come to me because I am a part of you. Until we meet again Dad - I love you. 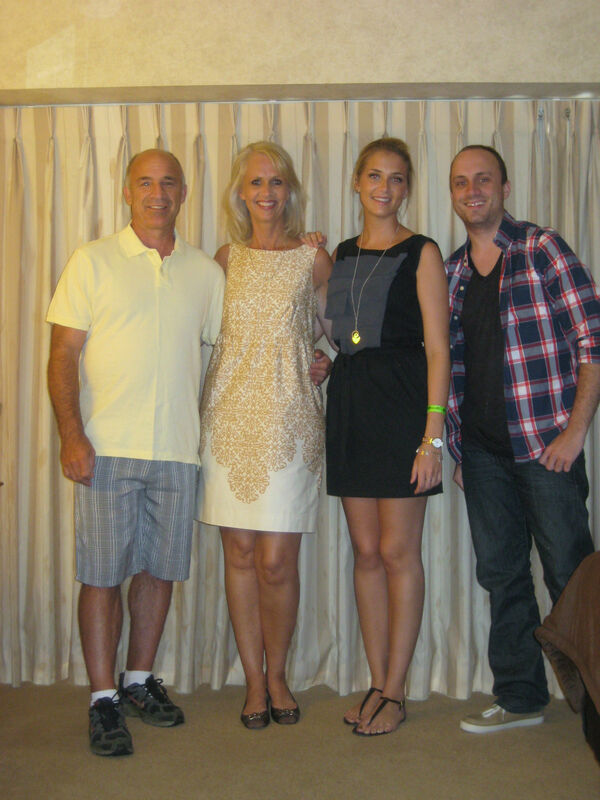 Click here to read Rick's story from the Global News. Click here to view the news clip from Alberta CTV News.